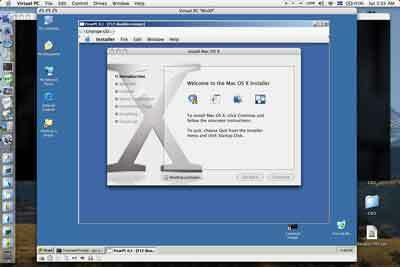 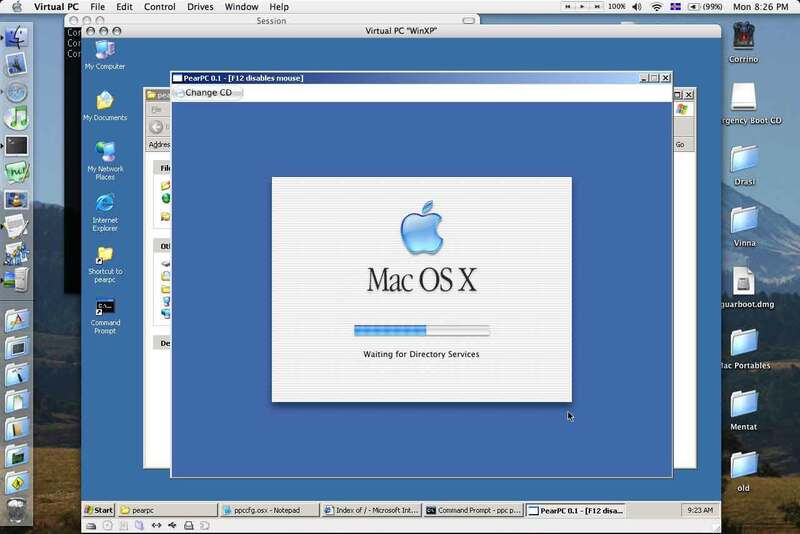 Well, I rose to the challenge and successfully managed to boot Mac OS X on Windows XP running on Mac OS X. 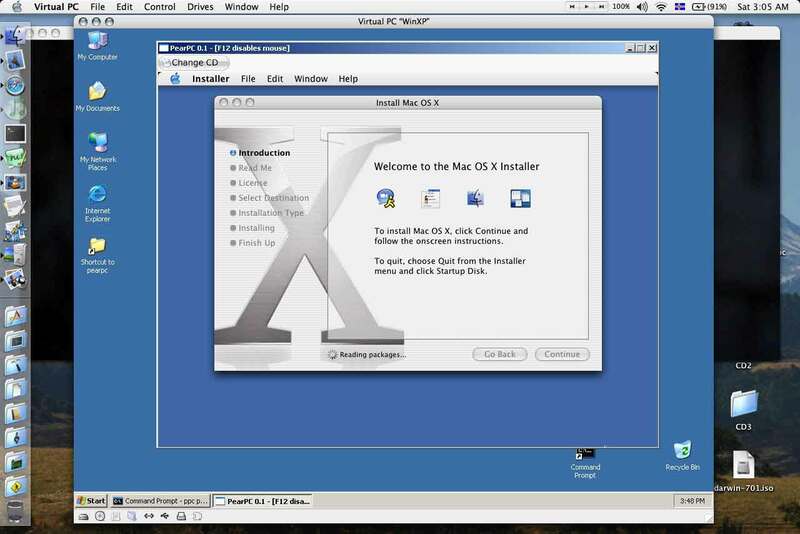 At first, my efforts to install Mac OS X 10.3 Panther met with little success. 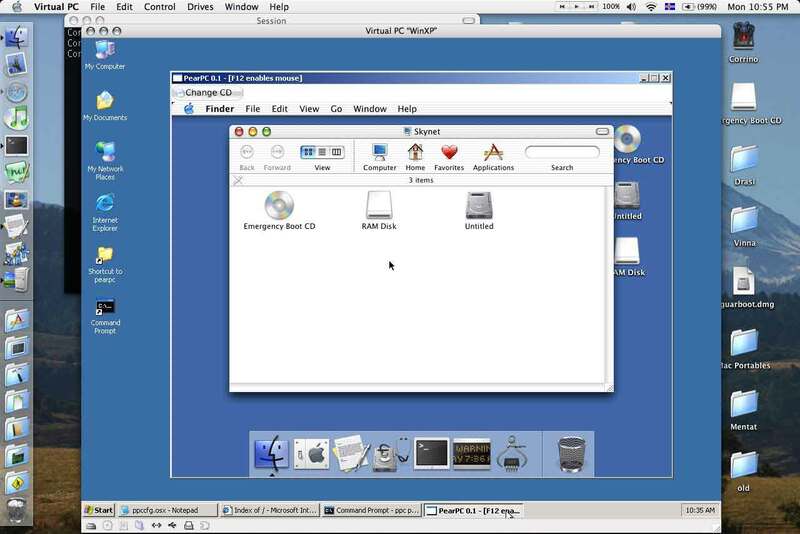 Basically, I booted my PowerBook G4 Aluminum 1.25Ghz with Mac OS X 10.3 "Panther", and booted the commercial x86 emulator Virtual PC, on which I had installed Windows XP. 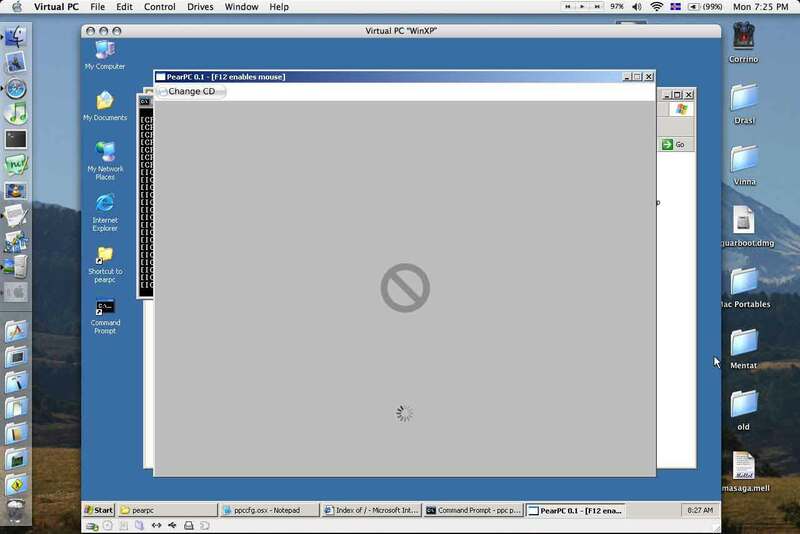 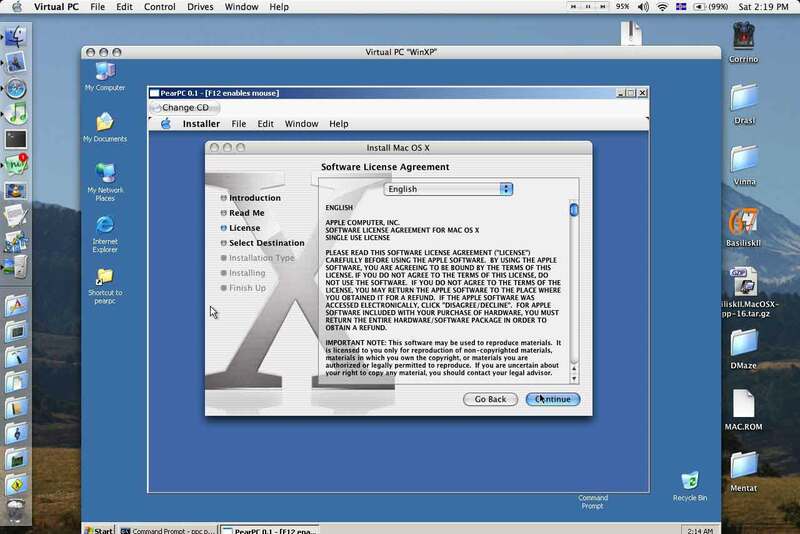 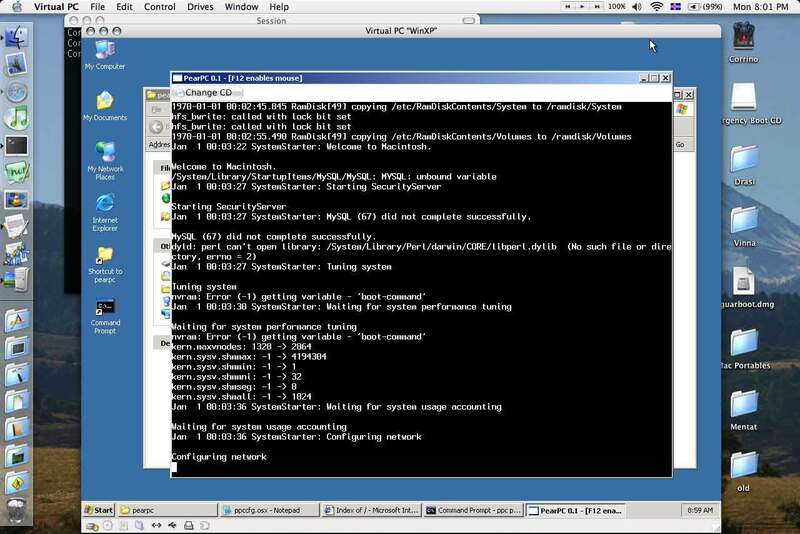 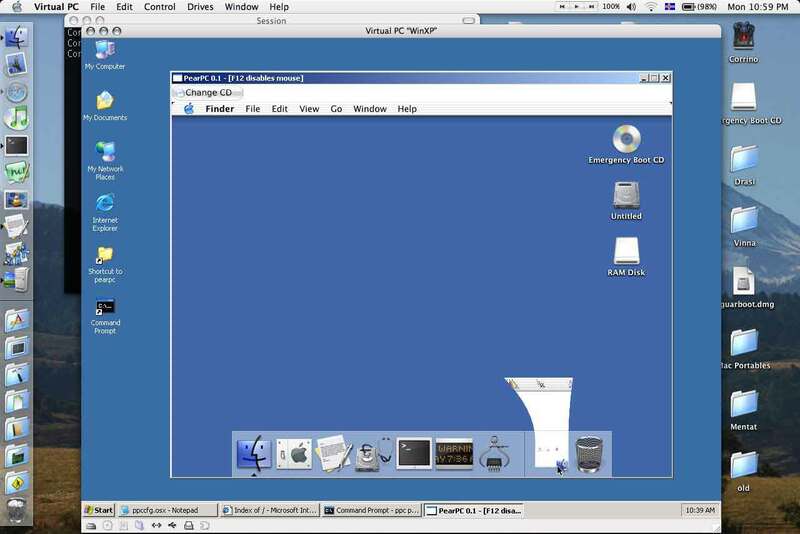 In Windows I activated the PearPC emulator and successfully booted from a Mac OS X 10.2 "Jaguar" boot CD. 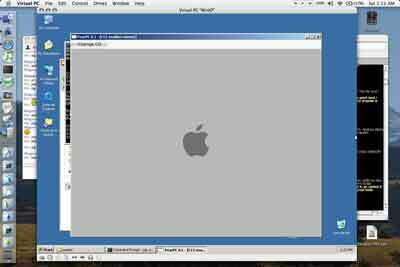 How did it run? Unbearably, terrifyingly slow would be an understatement. 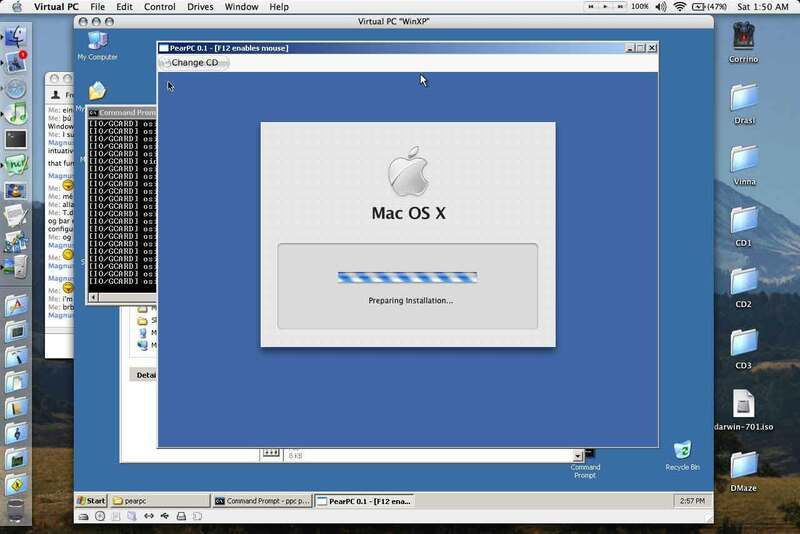 Mac OS X is no speed demon on older Macs, never mind when being emulated on an emulated processor (a 'cat /proc/cpu' in Linux shows my powerbook emulating a 250Mhz Pentium II, while the emulated Mac OS X mysteriously reports itself as 0 Mhz) The boot process from the CD took about 2 hours. 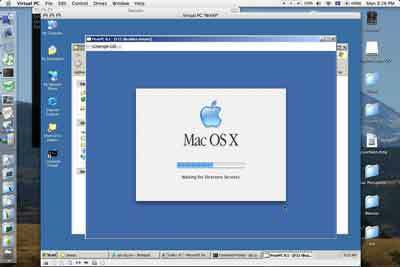 At first I actually tried to boot from the Panther install CDs in order to install Mac OS X 10.3 on a dummy hard drive image, but after 8 hours of waiting for the installer to actually start....well....installling, I decided to create a bootable compact disk using BootCD. 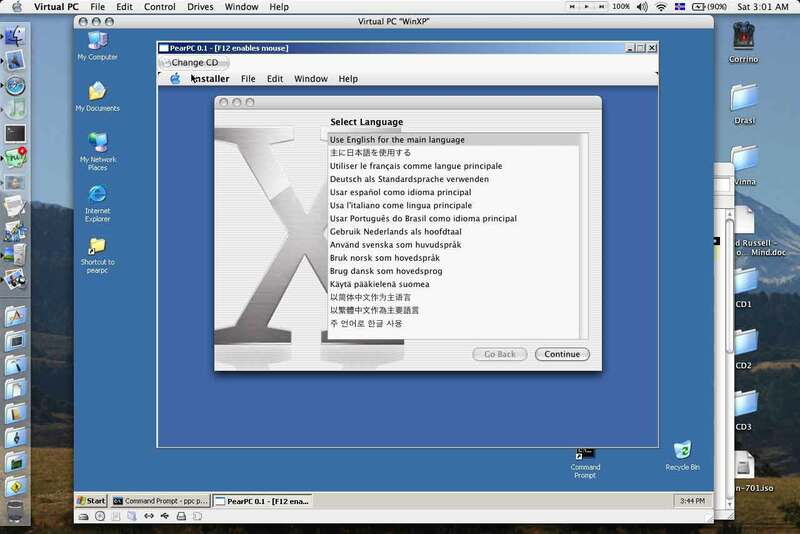 Unfortunately BootCD only supports MacOS X 10.2, hence no Panther on PearPC. 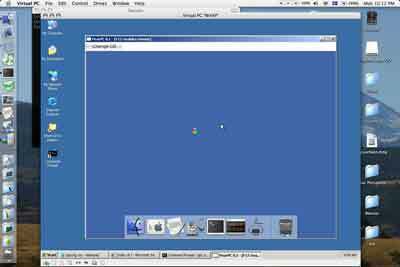 Regardless, I think it's pretty neat. 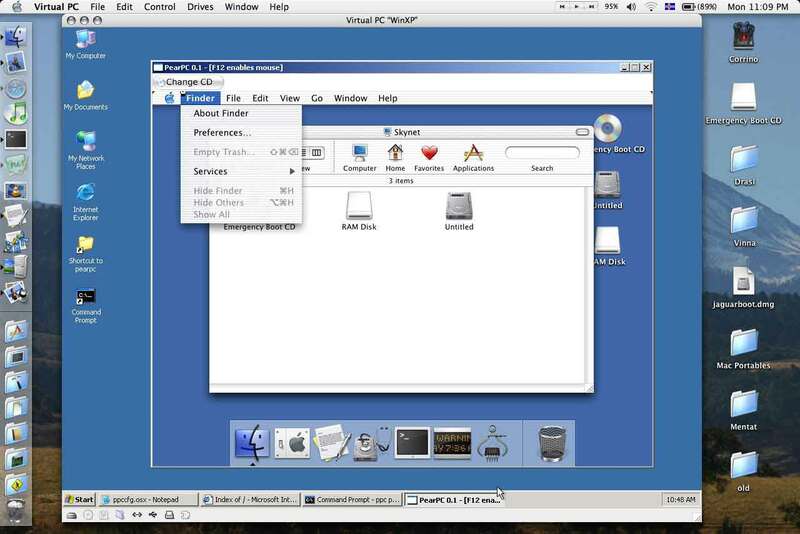 Now all I need to do is fire up VPC with Windows in the emulated Mac in the emulated PC on the real Mac :D.